In T minus 8,760 hours, or roughly one year, the Space Test Program-Houston 6 (STP-H6) hybrid and reconfigurable space supercomputer will board the International Space Station. The newest mission to the ISS featuring research and technology from the University of Pittsburgh's NSF Center for Space, High-performance, and Resilient Computing (SHREC) will bring an unprecedented amount of computing power into space and invaluable research opportunities from the ground station on Pitt's Oakland campus. "Computer engineering for space is the ultimate challenge," says Alan George, SHREC founder and the Mickle Chair Professor of Electrical and Computer Engineering (ECE) at Pitt's Swanson School of Engineering. "Space computing has become a principal challenge in all spacecraft, since remote sensing and autonomous operation are the main purposes of spacecraft and both demand high-performance computing." This new mission experiment is the work of an outstanding team of graduate and undergraduate students studying at Pitt, led by Chris Wilson. Earlier this year, the Pitt system for STP-H6 completed its 1,400-mile earth journey from NASA Goddard Space Flight Center in Greenbelt, Md. to NASA Johnson Space Flight Center in Houston. Its next much shorter trip is scheduled for February 2019 when it will travel 240 miles skyward from NASA Kennedy to the ISS. The new space supercomputer is nearly three times more powerful than its predecessor launched last year and contains dual high-resolution cameras capable of snapping 2.5K by 2K pixel images of Earth. "Our new system has a similar goal to perform in space and evaluate our new kind of space computer featuring an unprecedented combo of high performance and reliability with low power, size, weight, and cost," Dr. George explains. 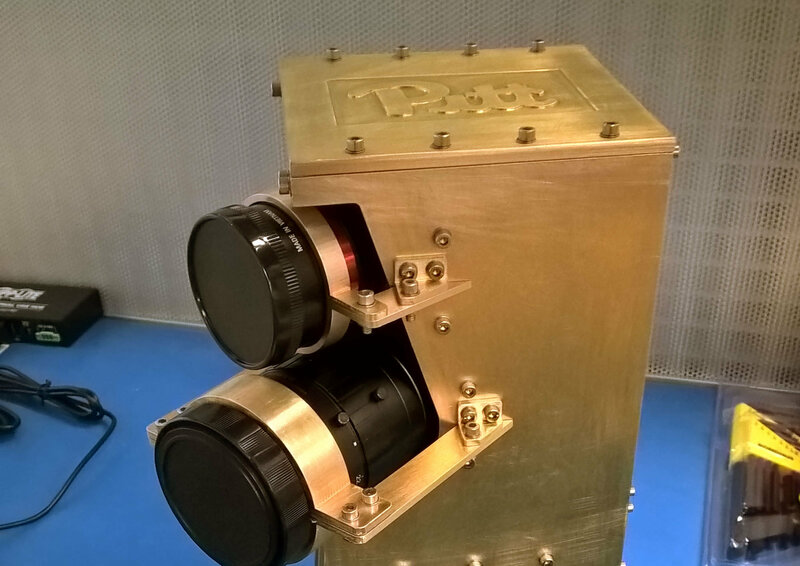 "The big difference is that our STP-H6 system is more powerful in computing and sensing capability and arguably the fastest computing system ever deployed in space."